Points North is the creation of and platform for Eric Barnett, a quite exceptional guitar player. 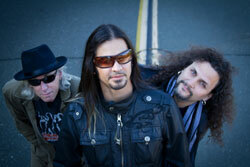 Road Less Traveled is the band's debut disc which features Damien Sission on bass (replaced now by Uriah Duffy), and Kevin Aiello. 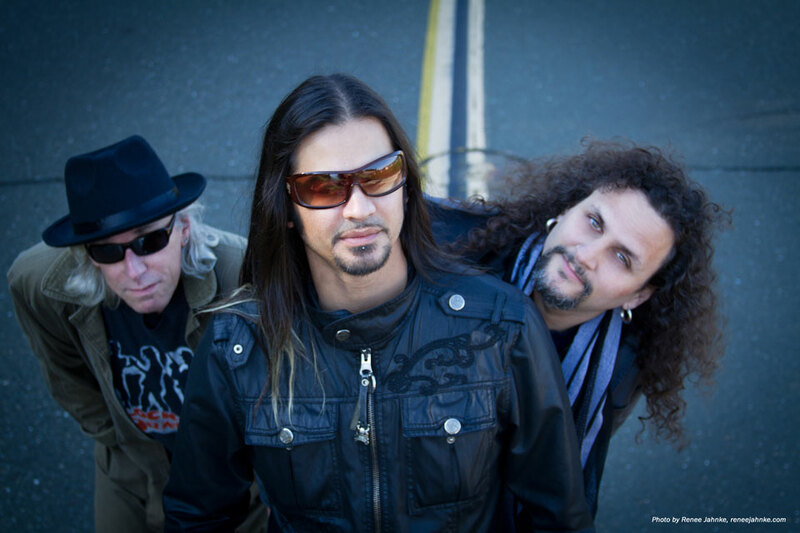 This trio makes a strong statement for instrumental melodic rock. Above, Points North: hiding behind the big guy? Not to pass over the rhythm section, which is quite good, but Points North and Road Less Traveled is fundamentally about Barnett's fret work. While not strictly performing in the neo-classical tradition, you can certainly hear it throughout this album. More significantly, however, to these ears, is more of a rock jazz fusion of sorts. In this light, one might hear echoes from Jeff Beck to Pat Metheney to Joe Satriani to Steve Vai. Ultimately, fret skills only get you so far. What makes Road Less Traveled better is Barnett's ability to put his guitar, as the lead instrument, in context. In other words, with supporting cast in mind, Barnett is also a skilled composer. The song matters, it's melody and ebb and flow, as much as his guitar histrionics. It's the thing that makes Road Less Traveled not just another self-serving stage for a guitar hero to show off. Notable, as examples, are Grace Under Pressure, Maiden Voyage, High Wire, and Suite Solitude for strong song composition. 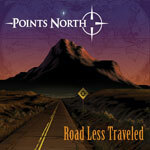 Points North's Road Less Traveled is engaging and entertaining instrumental guitar-driven melodic rock. Much like the album title, however, this genre is not exactly the most recognized road of the popular music industry. The road may be less traveled, but it may also be uphill most of the way. Nevertheless: easily recommended as fine material. Points North's Road Less Traveled, featuring virtuoso guitarist Eric Barnett, is engaging and entertaining instrumental guitar-driven melodic rock.